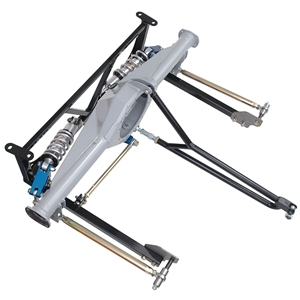 Rear Pushrod Coil-Over Suspension - Fits 64-70 Mustang and 67-70 Cougar - Includes Clip Weld Assembly, FAB9 Housing, Torque Arm, VariShock Coil-Overs, Springs, Rocker Assemblies, Trailing Arms, Watts Link Assembly, Subframe Connectors, and Connector Support. Note: Special order part not returnable for any reason. Ships by truck; freight collect.